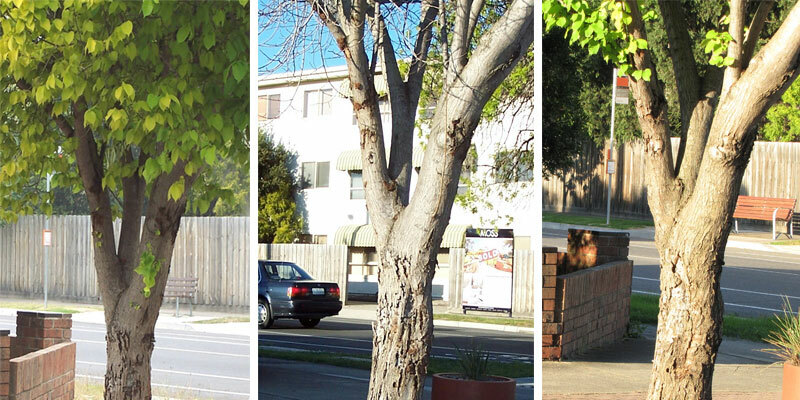 The fruit tree borer is a serious pest is in regards to ornamental and native trees, with a preference for black wattles, it has quickly adapted to the softer and sweeter wood of exotics. 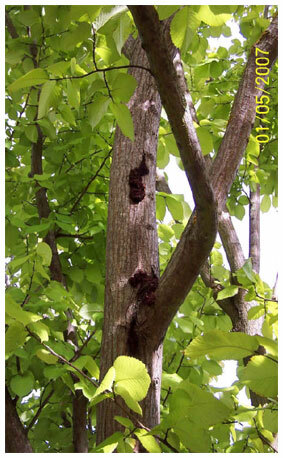 It is a known pest of over fifteen species of trees and vines with damage now seen in Golden, English and and Dutch elm cultivars, Oriental Plane trees and a number of Oak, Maple and Birch species. Standard methods such as soil injection and canopy spraying with Imidacloprid have been ineffective in controlling this pest. Fruit tree borer and other lepidopteran insects have a very high tolerance to Imidacloprid insecticides, and are ineffective, regardless of formulation or delivery method. Cato Park Northern Grampian Shire. 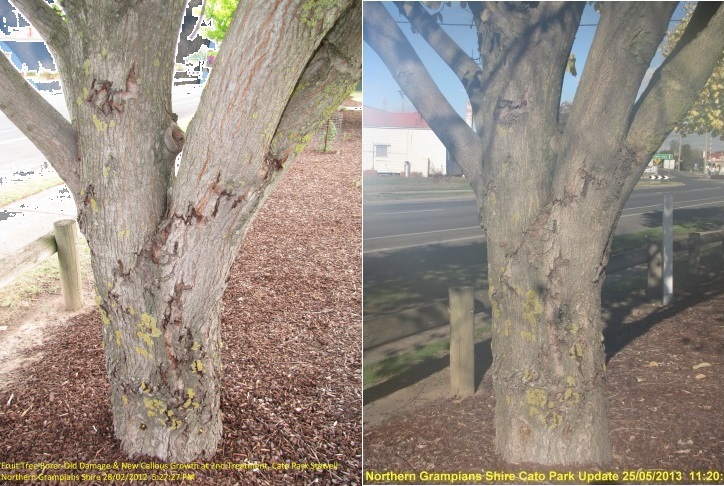 Image on left shows fruit tree borer old damage and new callous growth. Image on right shows improvements one year on. 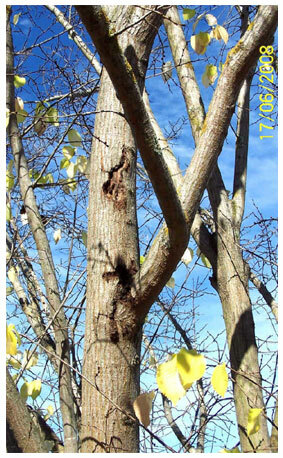 Read our fact sheet on Fruit Tree Borers.